Dudley Maslen was elected by members at the 16th Annual General Meeting (AGM) of Gascoyne Water Co-operative Ltd held 20 November 2018 and elected Chair at the first Board meeting held after the AGM. 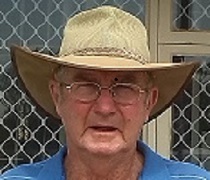 Dudley was born and bred in the Gascoyne and has lived in Carnarvon and surrounds most of his life. He currently resides and farms his plantation "Big River" with his wife Susan which produces peaches. Dudley has been a politician, Shire President (May 2003) and Councillor (1975 - 1988) and has also been involved in various organisations and committees in the local area over the years. Dudley looks forward to using his knowledge of the local community and governance experience to benefit the co-operatives. 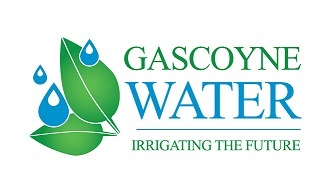 Tym Duncanson was elected by members at the 16th Annual General Meeting of Gascoyne Water Co-operative Ltd held 20 November 2018. 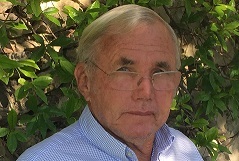 Tym Duncanson is a land and natural resource management professional with over 30 years’ experience in the forestry, agriculture, water, carbon, renewable energy and environment services industry. Tym is currently acting as the inaugural Director of the Land and Water Development Branch of the Department of Primary Industries and Regional Development whose purpose is to finalise the Gascoyne Food Bowl Project and conclude the Gascoyne Water for Food project. Tym has an applied science degree from the Australian National University and an agriculture economics Masters from the University of Western Australia. Tym looks forward to using his knowledge and experience to assist the Gascoyne Water Co-operative develop a long term sustainable business to benefit its members. Linda Lyall was elected by members at the 16th Annual General Meeting of Gascoyne Water Co-operative Ltd held 20 November 2018. Linda Lyall grew up on the Era Plantation which is still in the family, owned by her uncles, Domenic and Peter and is a third-generation banana grower. Linda and her husband Stephen have been at Dunvegan Plantation for the past 18 years and grow bananas and mangoes. Linda previously ran Riverside Day-care for approximately 12 years. Linda currently works as a nurse for Silver Chain and is or has been involved in various local organisations including current Vice Chairperson of the Carnarvon Space and Tecnology Museum. Linda looks forward to working with Gascoyne Water to provide a reliable water delivery service that is sustainable, secure and affordable for the Carnarvon Horticultural Industry. John was born in Busselton and moved to Carnarvon in 1953. 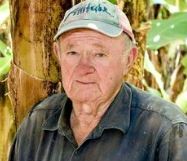 He has been a banana planter for over 50 years. John was elected to the Board of GWC at the 15th Annual General Meeting held on 30 November 2017. Tom Day was elected by members at the 16th Annual General Meeting of Gascoyne Water Co-operative Ltd held 20 November 2018. Tom has been a Carnarvon resident for over 75 years and has been involved in various local organisations over that time. He has also been involved in Local Government and served on various Boards and Committees. Tom believes he has a very good understanding of the duties and responsibilities of Directors and looks forward to working with Gascoyne Water to deliver water at a reasonable price while maintaining security of water and assets into the future. Dr Des Lord was originally elected as a Non-Member Director to the Board by members at the 13th Annual General Meeting held on 17 November 2015 and served his three year term which ceased on 17 November 2018. Dr Lord applied for the position again and was selected as the first-ranked applicant by an independent panel of industry peers appointed by the Board. Members subsequently elected Dr Lord at the 16th Annual General Meeting of members held on 20 November 2018. 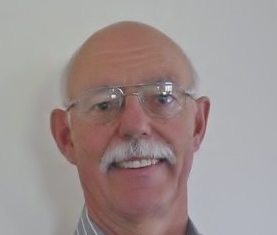 Dr Des Lord is a scientist and engineer with more than 35 years of experience with water resources and offshore marine industries, with experience in Australia, South Africa, Canada and Japan. 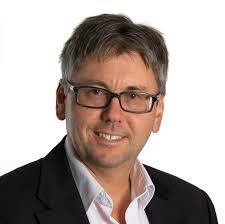 Dr Lord has had extensive involvement in groundwater resources and their management in regional Australia. He was a Commissioner with the National Water Commission from 2012-2015 and Chair of the Carnarvon Ministerial Advisory Committee from 2013 to 2015 providing advice to the WA Ministers of Agriculture and Water on the future of irrigated agriculture in the Lower Gascoyne. Tom Day was elected by members at the 13th Annual General Meeting (AGM) of Gascoyne Water Asset Mutual Co-operative Ltd held 20 November 2018 and elected Chair at the first Board meeting held after the AGM. Tom has been a Carnarvon resident for over 75 years and has been involved in various local organisations over that time. He has also been involved in Local Government and served on various Boards and Committees. Tom believes he has a very good understanding of the duties and responsibilities of Directors and looks forward to working with Gascoyne Water to deliver water at a reasonable price while maintaining security of water and assets into the future. Linda Lyall was elected by members at the 13th Annual General Meeting of Gascoyne Water Asset Mutual Co-operative Ltd held 20 November 2018. Linda Lyall grew up on the Era Plantation which her uncles, Domenic and Peter De Boni now run and is a third-generation banana grower. Linda and her husband Stephen have been at Dunvegan plantation for the past 12 years and grow bananas and mangoes. Linda previously ran Riverside Day-care for approximately 12 years. 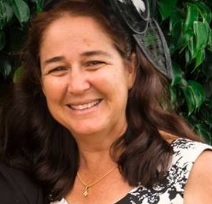 Linda currently works as a nurse for Silver Chain and is or has been involved in various local organisations including current Vice Chairperson of the Carnarvon Space and Tecnology Museum. Linda looks forward to working with Gascoyne Water to provide a reliable water delivery service that is sustainable, secure and affordable for the Canarvon Horticultural Industry. Current Company Secretary for both Gascoyne Water Co-operative Ltd and Gascoyne Water Asset Mutual Co-operative Ltd is Mrs Lisa Hodson. She can be contact on (08 9941 4488) or Email: lisa@gascoynewater.com.au.